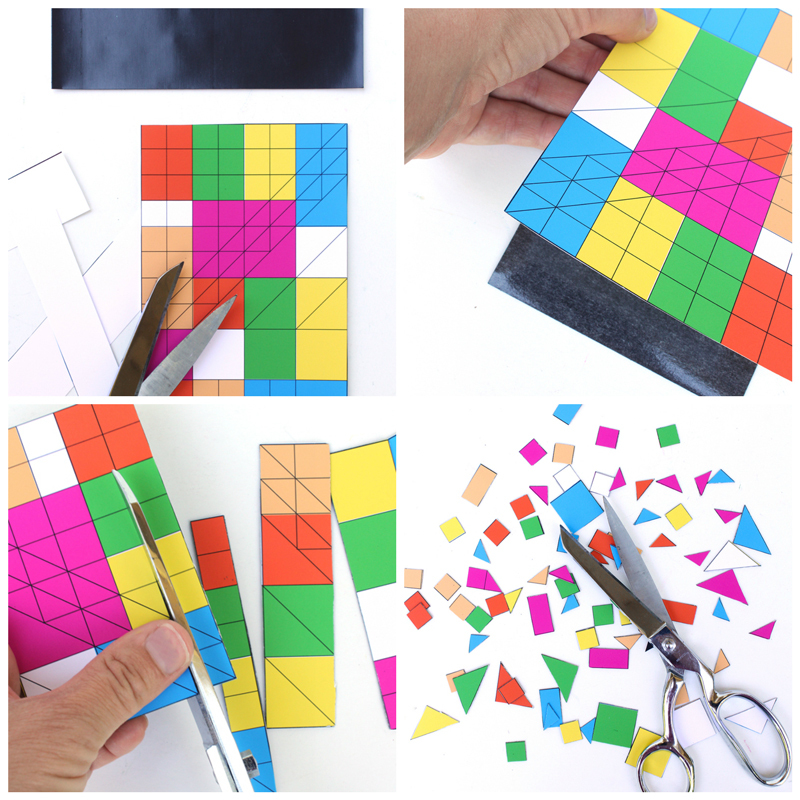 If you have wanted to try mosaic art for kids but are worried about the process of making a true mosaic piece here’s is a simple idea: Make it out of magnets! I’m always dreaming up art ideas for kids (it’s an addiction folks) and lately I have been trying to come up with SUPER EASY things you can do/make with just a few materials. That’s how this little ditty came to be. 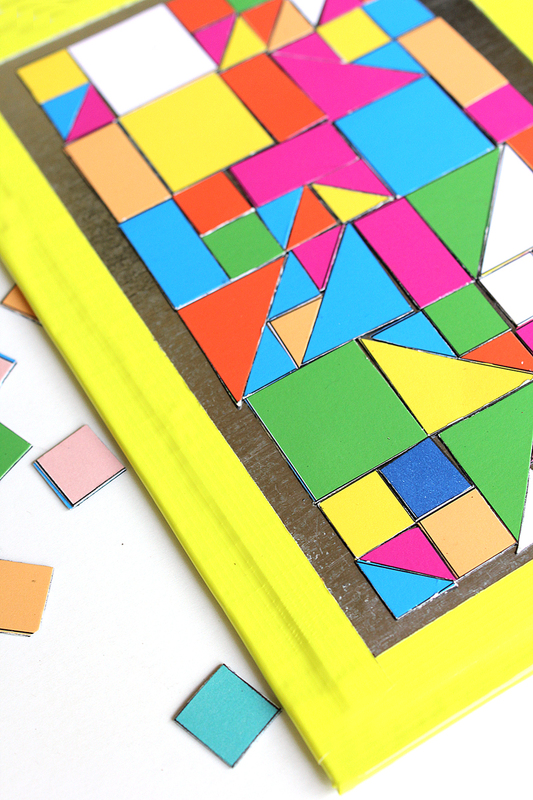 My obsession with magnets, color, printables, and geometry all rolled up into a simple little art idea: Mosaic Magnets. You can make these in 10 minutes or less and I got you covered on the template. Print, stick, cut, and design. Lickety split! Oh and of course no self-respecting mother of a 7 year old boy designing little SQUARE BLOCKS would NOT think of MINECRAFT…..soooooo I made a Minecraft version too! No triangles, just squares and Minecraft colors. Download the template below and check out our Creeper ! Step One Download and print your template. Trim off white edges. Step Two Affix colored template to sticky side of magnetic sheet. 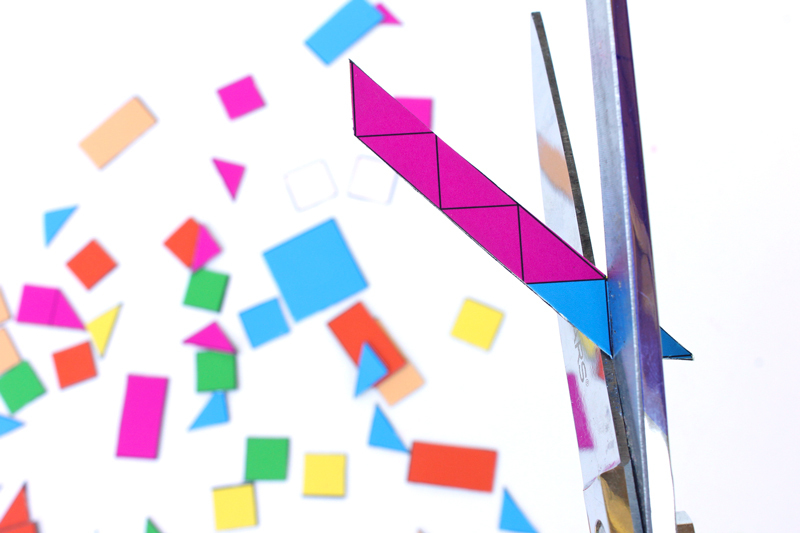 Step Three Using sharp scissors cut out colored shapes along the template lines. 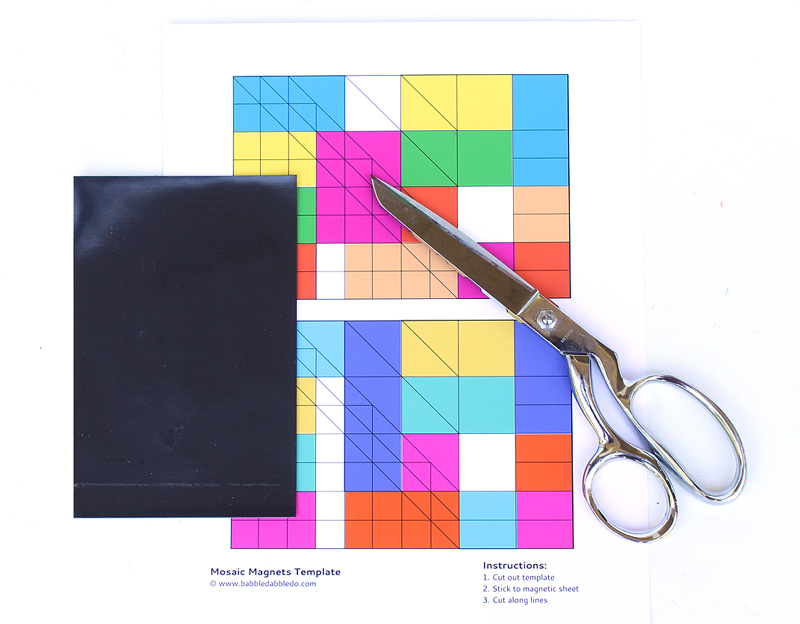 Step Four Place the magnets on a metal surface and invite your kids to create! You’re done! Now make some patterns! If you want to make this into more of a DIY toy you can make a board to go with it! We bought a 5” x 7” piece of sheet metal at the hardware store for these boards. The edges are pretty pointy so I cut a piece of cardboard slightly larger than the sheet metal and duct taped the metal to the cardboard. Simple DIY Metal board! Ravenna Italy. Normally I spotlight a person here in the “Looks Like” section but today I’d like to talk Ravenna. I spent a year studying architecture and art in Italy and Ravenna was one of the highlights. Why? Ravenna has several churches with THE BEST Byzantine era mosaics on display in the world. We’re talking art that was made 1,500 years ago! The mosaics are just stunning. Pop over and look at this image NOW to see what I mean. Convinced? Mosaic art is a favorite of mine because of the ability to transform little bits of color into massive overall images. It’s the basis of digital imagery too; all digital images are made up of pixels. Mosaics are like Byzantine version of digital photography! I bet you never thought of it that way. 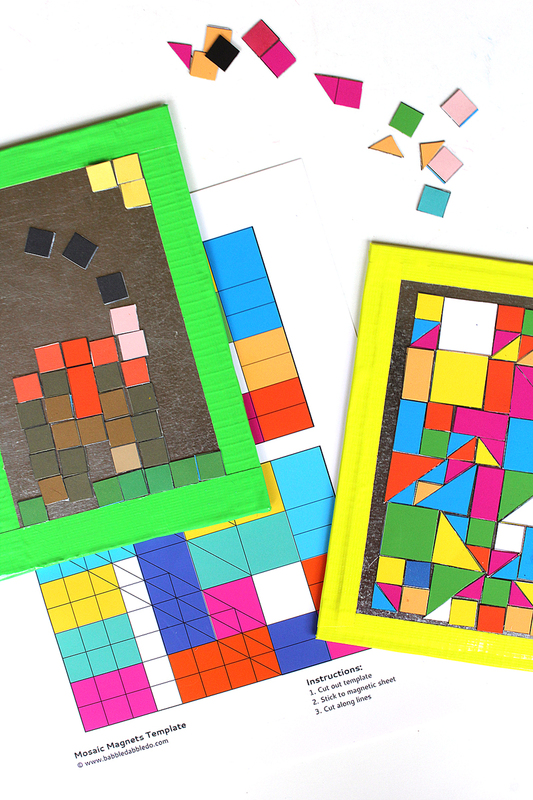 I loved how simple this idea for mosaic art for kids was to make and how fast it came together. And it goes beyond art! Use it to explore math ideas like geometry, or design skills like patterning and layout. I even got a kick out of not cutting all the pieces and using them like little geometric 2D blocks. I love this fantastic collection of math meets art masters projects on E is for Explore. This is awesome! 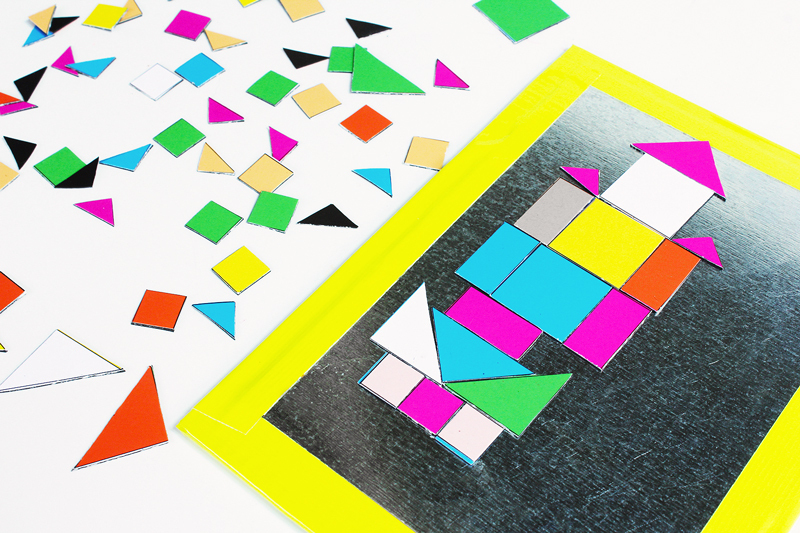 Love this idea so much – and my daughter already has a portable magnet set with tangrams, I could just add these to it. Thanks for sharing.